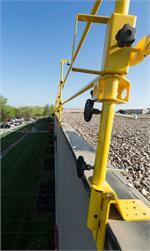 Our RaptorRail™ Temporary Rail systems are designed and built to keep your workers safe while enhancing productivity. The LES RaptorRail™ 350′ Roofing Base Kit has the proper parts to cover an 80’x80′ building or 320-350 lineal feet of coverage in each kit. 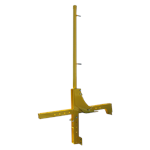 Complete rail system includes 36 posts, 36 railing feet and bases, 56 ten foot rails, 8 universal corner adapters, 4 small (29-43″) adjustable rails, 4 large (70″-120″) adjustable rails, and 4 extra large (120″-218″) adjustable rails. 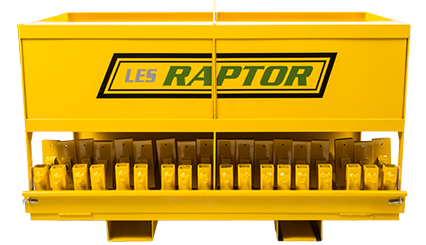 Also includes a RaptorRail™ crate specifically designed to provide organization for all parts of the system. 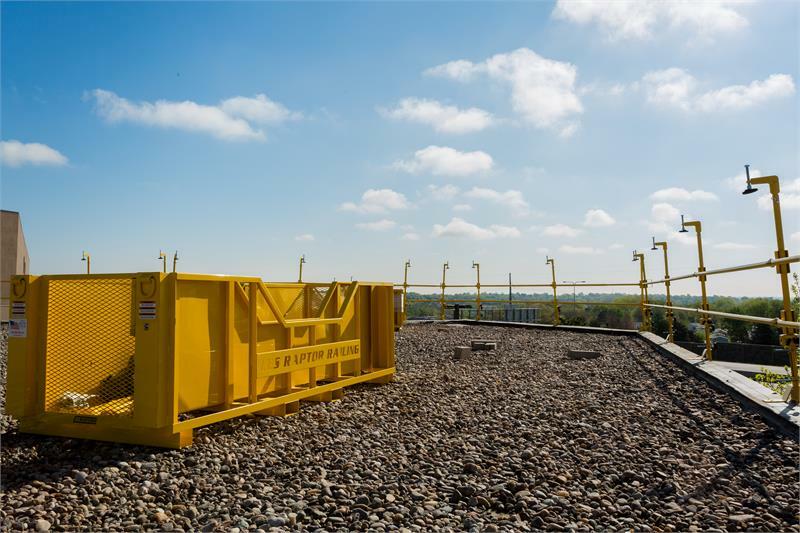 With the included 9 cubic feet job box, a variety of fasteners and tools can be stored in the RaptorRail™ crate to ensure you always have what you need on the job site for a proper installation. 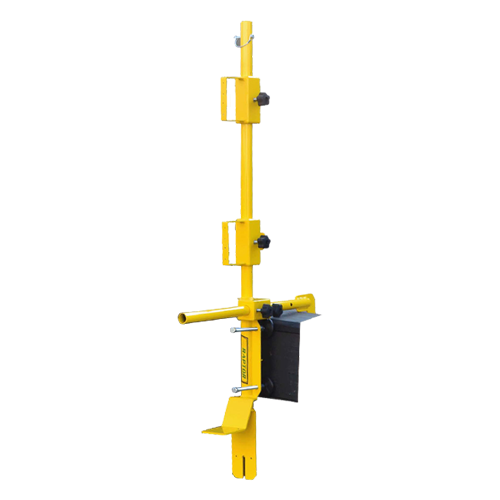 The RaptorRail™ Parapet Clamp Kit is designed and built to assist in keeping your workers safe while enhancing productivity. 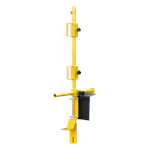 It’s easy to setup, and works with most existing rail systems, giving them a new flexibility and usefulness. 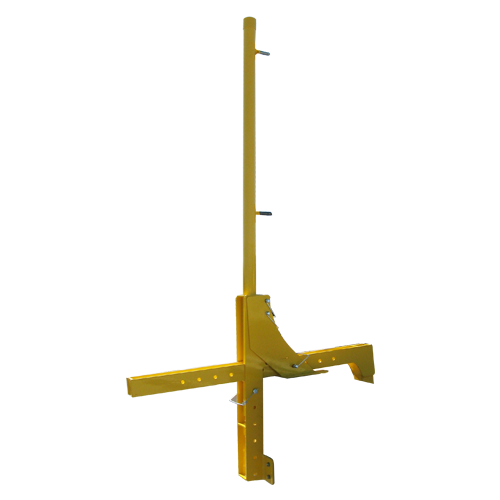 The RaptorRail™ Parapet Clamp Kit can be installed vertically or horizontally, allowing it to work on roofs, soffits, and intermediate levels. 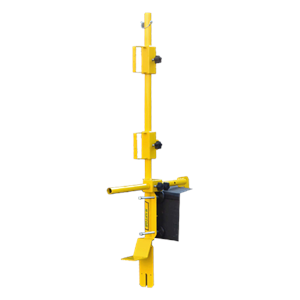 The RaptorRail™ Parapet Clamp Kit crate includes 36 parapet clamps to give the RaptorRail™ system a parapet roof attachment option. The parapet clamps eliminate the need to use screws or other attachment methods to connect the RaptorRail™ to the roof.